This European organization, which is based in Brussels, is a non-profit network of medical experts who have been caring for people in need and sharing knowledge in Asia, Africa, the Middle East, Eastern Europe and South America for over 20 years. 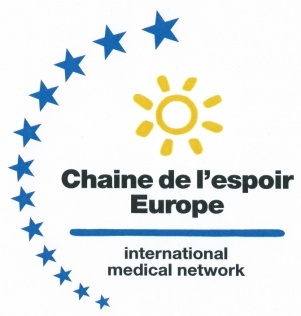 The Paediatric Cardic Centre at Fan University Hospital of Dakar is the first common project of all organizations which are united under the umbrella of Chaîne de l’espoir Europe. The goal is to establish an Centre of Excellence which will serve as a teaching hospital for other centres in West Africa.